I've made some remarkable musical friends in America... and beyond... in cyberspace. I hope to make many more! I lost contact with Tim Spencer (below) after his first contact to me. His email might have changed? I hope he sees this "musings" page and remembers our exchange as well as I remember his fascinating story! Tim Spencer, Director of the Borealis Chamber Choir, is front and center! Just thought I'd let you know that our new chamber choir, Borealis, will be performing your piece, Alleluia, on Thursday evening in Flin Flon, Manitoba, Canada, as part of our first full concert. I've always loved the Vaughn-Williams organ prelude and was actually doing a Google search to find a recording, when I stumbled on your arrangement. As you say, it's an opportunity for singers to enjoy a piece that they would normally not be able to participate in. No one in our group was familiar with the music but when I handed it out and we did a quick read through, it immediately clicked. Coincidentaly, a couple of years ago one of the local elementary schools in this northern mining town, found an old string bass in the basement and one of our choir members bought it for $50 and has taken up the instrument (it's probably the only bass in 100 miles) - so we're even including the optional bass accompaniment. 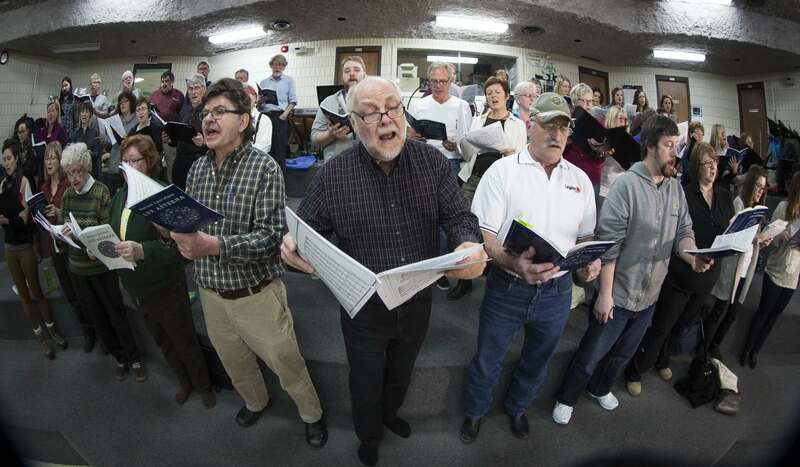 Our spring concert is called "Now is the Month of Maying" (we were going to call it "Sacred and Profane" but it was felt that some of the elders in the local Lutheran church might not be ready for anything profane being performed there). We're, of course, doing the Morley piece of the same name as well as madrigals by Dowland, Bennet, Farmer, and Gibbons. Some of our sacred pieces include: Ave Verum Corpus of Byrd, Tantum Ergo of Severac, Rise Up My Love of Willan and a simple setting of Crux Fidelis we discovered at http://www.pthill.pwp.blueyonder.co.uk/index.htm - 20 works in all. Isn't the Internet great for choral music? We don't have much of a bank account, yet, so quite a bit of our repertoire came from www.cpdl.org and other public domain sites. How thoughtful of you contact me and convey the activities of your choir, Borealis....what a beautiful name for a choir! The organist at the large church where I once directed used to play "Rhosymedre" frequently, often at my request. I eventually acquired the Arnold Foster orchestration of it and conducted it with a string orchestra. 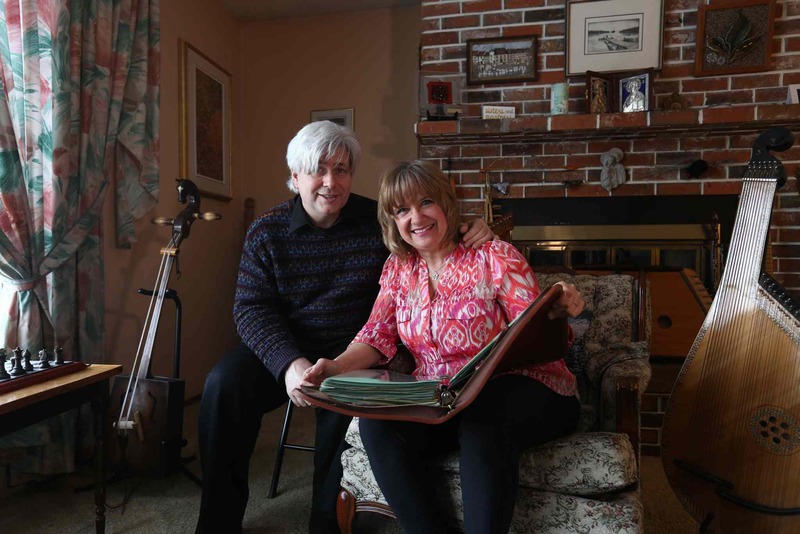 My wife and I were listening to a CD of the string orchestration while traveling, and we both felt it would be wonderful to transcribe it for choir. I developed a Latin text to impart the spirit of the musical lines that Vaughan Williams weaves. I then had to wait a couple of years for it to become public domain in the US, but still had to get permission in England where the copyright duration is longer than the US. So, it was a long road to get it into print. The string bass is my "tribute" to the string orchestration that I grew to love. I assume you've already looked on my website at http://www.gladdemusic.com/alleluia.htm - more information and recordings if you're interested. I'm in wonderful company alongside the other composers in your program. I'm not familiar with your community, but it sounds as if you are giving them a beautiful gift of music! Please give your singers my best wishes and thanks. I'd be thrilled to have you consider other works of mine.... everything's on my website. I'd love to receive a program! In recent days... also because of the internet and Facebook... I had another wonderful exchange with Crystal Kolt. Crystal has provided me contact information to re-connect with Tim Spencer after 13 years! a mining community on the edge of the Canadian wilderness (population of 5,592)! Lovely... all such good memories! Borealis has been on a bit of a hiatus for about a year. 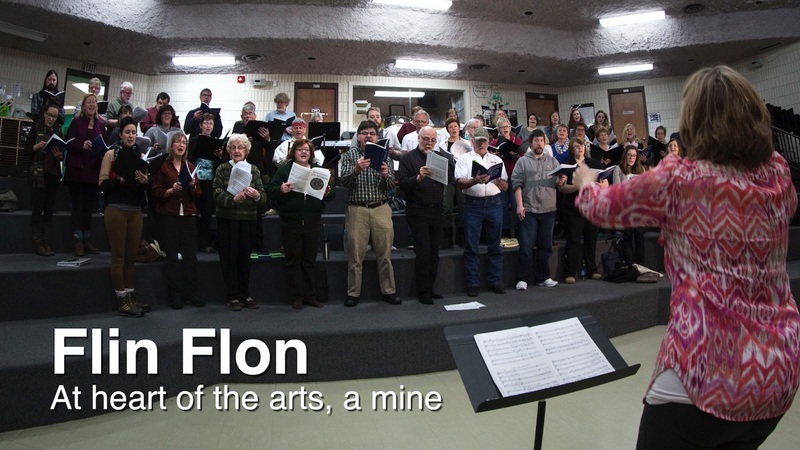 The Flin Flon Community Choir (the largest choral group in the community) produced Les Miserables last year and is performing the Morten Lauridsen's Lux Aeterna in Carnegie Hall in June... very lovely work, but it's kept us all very very busy. (Most of the members of Borealis are members of the FFCC as well). We (Borealis) and Tim in particular is always eagerly seeking new choral chamber music.... and composers. He will enjoy hearing from you I am sure. Brad... for some reason I can't seem to open the "Far Flung Flin Flon" link... I'll try again tomorrow. Am curious. I haven't finished that "Far Flung Flin Flon" link yet... that's why you can't open it. But now I am newly inspired to work on it soon. 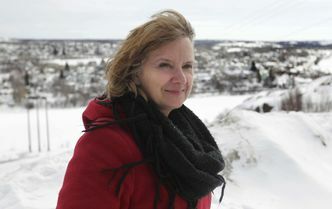 I just finished reading the article about you and Mark and the city's history. I loved the article and the amazing artistic level of your remote community! Thanks Brad. It is indeed remote and it has actually been an advantage. When we look over our shoulders there is nobody there... so if we want to tackle Verdi's Requiem, we just do it. If we decide to perform with the Winnipeg Symphony or in NY there is no one around to tell us we're crazy. It's been fun and fulfilling. 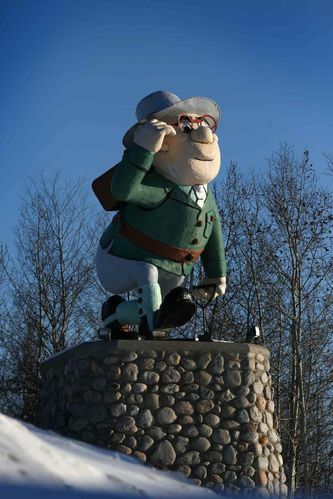 Click the image above to read an article about the arts and culture in Flin Flon, pop. 5592 (in 2011). The city is a mining town right at the edge of the Canadian wilderness!